100% of each ticket sold will be donated to the top 3 prize winners. Sign up to support the small businesses and innovators in our community! Interested in supporting them with more than the $10 donation with this ticket? Consider donating to our Go Fund Me page, where we’re raising more money for the prize winners. Interested in sponsoring this event with cash or in-kind prizes? Please contact us at info@theecomarket.org. Check out some of our amazing sponsors for the finalist prizes below! 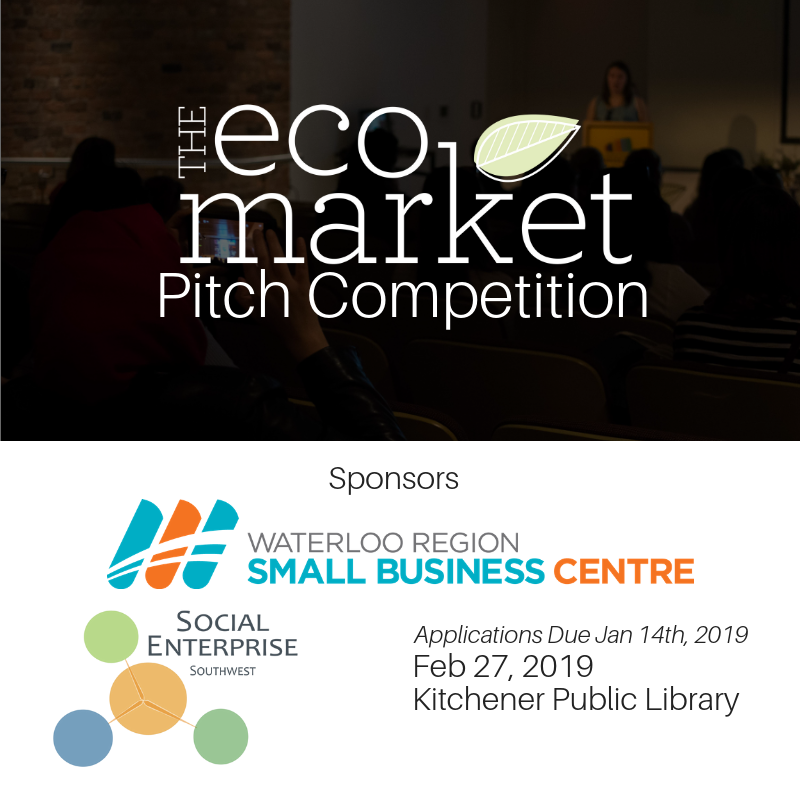 Judges: Donnique Williams from Reep Green Solutions, Nicole McCallum from the Waterloo Region Environment Network, Pragya Dawadi from the Waterloo Region Small Business Centre, Jennifer Novakovich from The Eco Market, the audience!